The following is a list of events of interest to guild members in our community and nationwide during the 2016-2017 guild year. Animal artists from the Conservators Center are teaming up with 7 local artists from Glencoe Studios (including TWG’s own Lynn Pownell) to bring animals' art and art inspired by our animals to you! Over 50 original works of animal art—created by the claws and paws of the Conservators Center’s residents—will be showcased over the weekend. 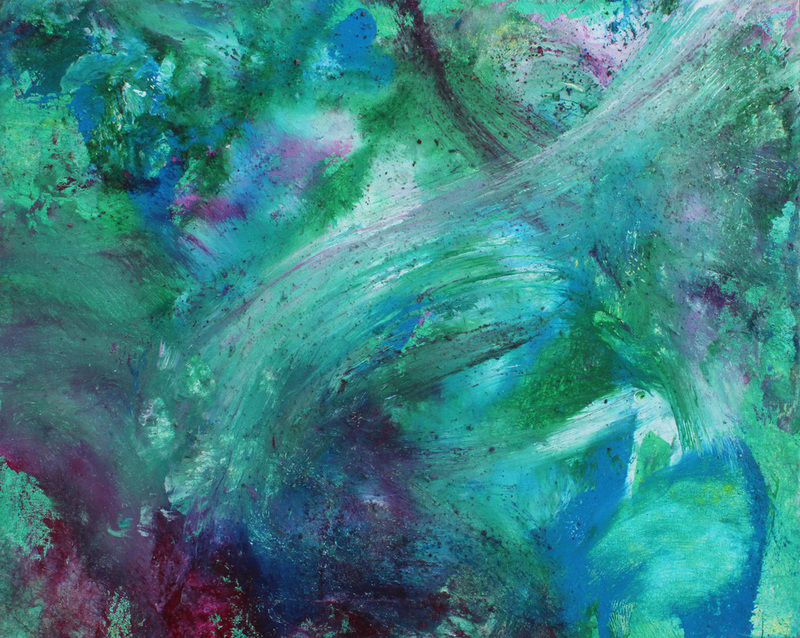 The Process: A canvas is covered in non-toxic tempera paint and scent, then placed in the enclosure of one of the Center’s many resident artists. The scent is incredibly enticing, and the animals love rolling around on the canvases and creating pawprints, whiskerprints, and periodically toothmarks in the paintings! 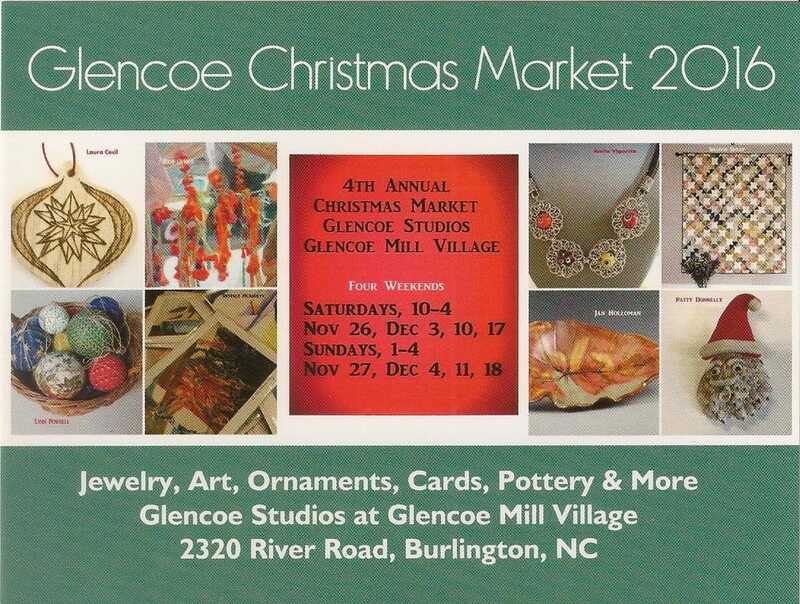 The talented artists from Glencoe Studios will also have their animal-inspired pieces of art on display. Mediums ranging from watercolors, to jewelry, to textiles will be on sale, with portions of the proceeds going back to the animals of the Conservators Center. One weekend only! 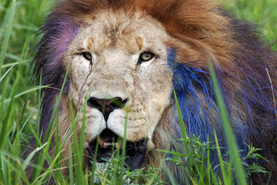 Our animal art will be available for viewing and purchasing from June 3rd to June 5th. There will be an opening reception on June 3rd from 6:30pm to 9pm, where gallery goers can peruse the art, bid on silent auction items, and enjoy delicious wine from the Iron Gate Winery in Mebane. Artwork will also be available for purchase from 10am to 4pm on Saturday, June 4th and Sunday June 5th. Don't miss out! Featuring new paintings by guild member Jude Lobe as well as new works by potter Garry Childs and wood artist Larry Favorite. Mary Kircher’s piece, Places I Long For, 12x12" is a finalist in the FRESH show at Artspace. 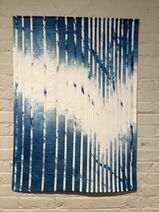 Kelli Crispin has also been juried into the show. proceeds from this show support the Summer Arts Program. See it! Buy it! Mary Kircher's "Places I Long For"
Mary Kircher will have a few of her new pieces on display in the Frank Gallery Summer Invitational Show. Mark your calendar for the opening. HGA delighted to present our premier fiber event in Milwaukee, a beautiful city on the shore of Lake Michigan. The largest city in Wisconsin, Milwaukee has more than 20 museums, 150 restaurants in the downtown area, and a 3-mile RiverWalk hosting its many festivals. 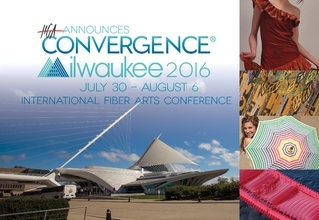 HGA's Convergence® conference is an outstanding event for everyone who loves and works in fiber. 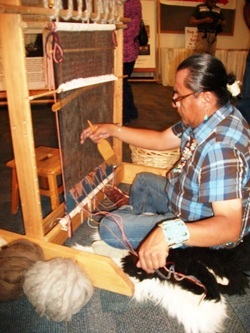 The Convergence® conference features workshops and seminars, exhibits, special lectures, tours, special events, a Marketplace full of fibers, fiber-related equipment, books and media, and an artist market. This is your chance to meet like-minded individuals from all over the world. The 42nd Annual CenterFest Arts Festival is September 17th-18th, 2016! 140+ juried visual artists will showcase and sell their original, handcrafted work in Clay, Drawing, Fibers, Glass, Painting, Photography, Printmaking, Wood, Jewelry, Mixed Media, and Sculpture. It is truly one-stop shopping for art lovers! 23 MEMBERS OF ALAMANCE ARTISANS GUILD will open their studio doors on October 8 and 9 for the Alamance Studio Tour, free and open to the public. This is your opportunity to visit the artists where they find expression, in yurts, historic mill villages, lovely garden houses, rented studios, beautifully situated barns, and cleverly converted garages and spare rooms. This once-a-year tour is the only time some of these artists showcase their work. Everyone is welcome, from the casual browser to the avid collector! 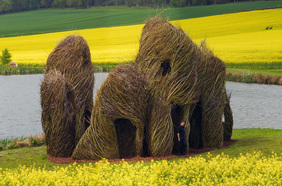 Organized In partnership With Savannah College Of Art & Design (SCAD). 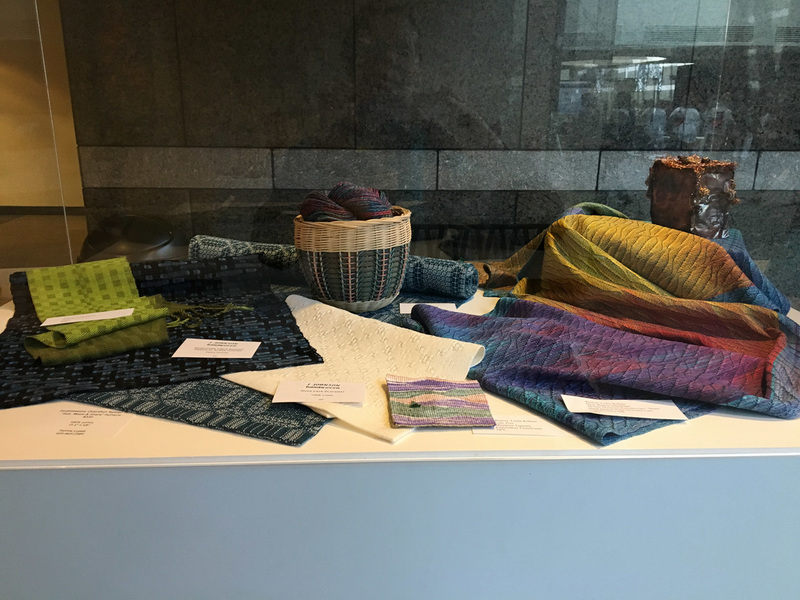 Participants have been invited to explore the ways in which textiles shape, and are shaped by historical, geographical, technological and economic aspects of colonization and/or globalization. Curated exhibitions will be on view at seven Savannah galleries. Take classes with Karen Donde or Beth Smith. 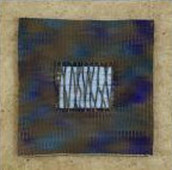 Sponsored by Third Star Fibre Artists Guild and funded in part by Mid-Atlantic Fiber Association. To view more details and the application form click here. Tour time is approaching! Please mark your calendars and plan to join us for the 22nd Annual Open Studio Tour, November 5-6 & 12-13, 2016. 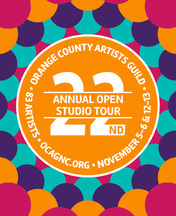 This year we have 82 artists at 66 studio locations all over Orange County. Starting in early October hard copies of the brochure will be mailed out and distributed around town. For those of you eager to plan your route, PDFs of the full brochure (16 pages) and the 2-page map are now available for download. Triangle Weavers members, Dawn Hummer (studio 46), Anita Wolfenden (studio 59) and Rose Warner (studio 27) will be participating in the tour! Shop, explore, be inspired! 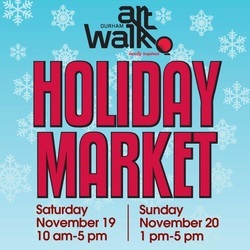 The Durham Art Walk Holiday Market is a festive fine arts and crafts event that celebrates the season in downtown Durham! The Holiday Market invites art lovers for a weekend including dazzling examples of local artistic talent, ongoing live music, world-class restaurants, great shopping, innovative new businesses and fascinating historic sites. The event is free and open to the public. Rain or shine. The Holiday Market is produced and presented by the Durham Arts Council with support from many generous community sponsors. Celebrating 24 Years of Bringing Art to the People of North Carolina. The Guild’s Studio Tour is one of the oldest in the State, a highly respected art venue and a prototype for other area studio tours. This is your chance to Tour and Visit the studios of 53 outstanding Artists. Gifts, art, jewelry, ornaments, cards, sourwood honey and more! 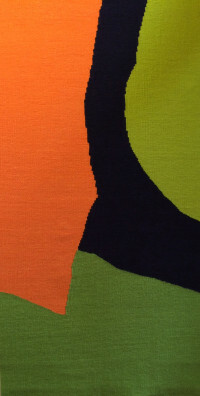 Immerse yourself in tapestry weaving while enjoying three tapestry exhibitions at the San Jose Museum of Quilts & Textiles. 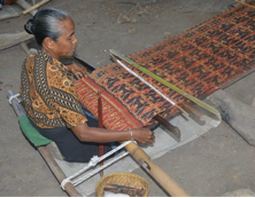 This class is designed both for the beginning weaver who has little or no experience with tapestry and for the more experienced tapestry weaver who wants to learn new techniques. This was installed in November 2015, but will remain along the Eno for at least 2 years. The easiest way to get to see it is to park at the Gateway Center parking garage (free) near Weaver Street Market and walk toward the large black spheres at the entrance to the Riverwalk. Cross over the first bridge, keeping to the right where it splits, and the installation will be just to your left. Are you ready to explore your creativity? Expand your imagination? Make cool stuff? 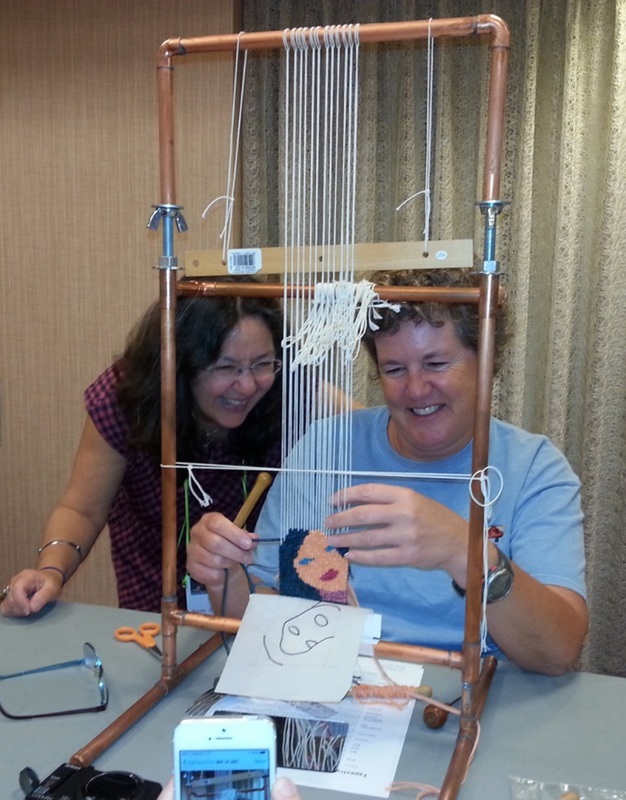 Join Debbie for ARTFUL SPARKS - a curiously fun experience. How does it work? 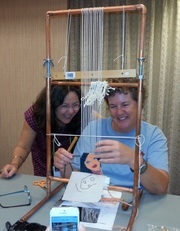 Every Wednesday evening Deb will set up a creative project. No special skills required. Just show up with an open mind and $15 (covers cost of class and materials). There is no signup - feel free to attend one class or EVERY CLASS! Bring a friend or two and make it a fun evening out. 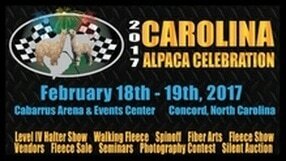 To register, go to the show registration website, www.alpacareg.com. A daylong celebration of bagpipes, Highland dancing, genealogy discussions, demonstrations, Scottish food, and a few surprises presents some of the best of Scotland while telling the story of Scots in North Carolina. The concert, in Daniels Auditorium, features WRAL anchor Bill Leslie and other performers in an energetic evening of Celtic-inspired music. Organized by Celtic Force Enterprises. 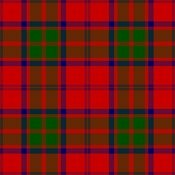 Proceeds benefit the museum and Tartan Day North Carolina. 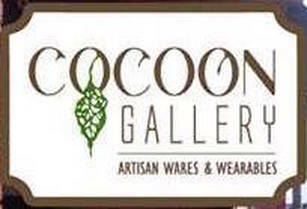 Join us to celebrate the grand opening of Cocoon Gallery in Historic Downtown Apex. This gallery showcases functional art including Ceramics, Wood, Jewelry, Glass, Metal, & Textiles, imagined and created by Carolina artists, including guild member Pattie Lamb. Sip, Snack, Shop, & Meet the Artists. 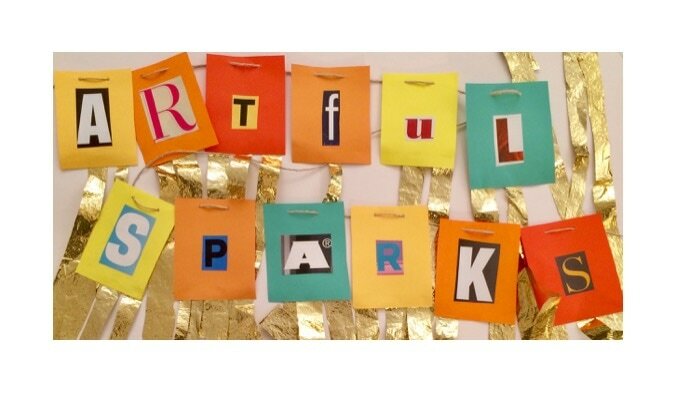 A new session of Artful Sparks! with all new projects! Please register for all 5 classes (#313064-03) by March 20th at www.orangecountync.gov/departments/aging. Southeast Fiber Forum Association has been working diligently on Fiber Forum 2017 to be held at Arrowmont, April 20-23 2017. 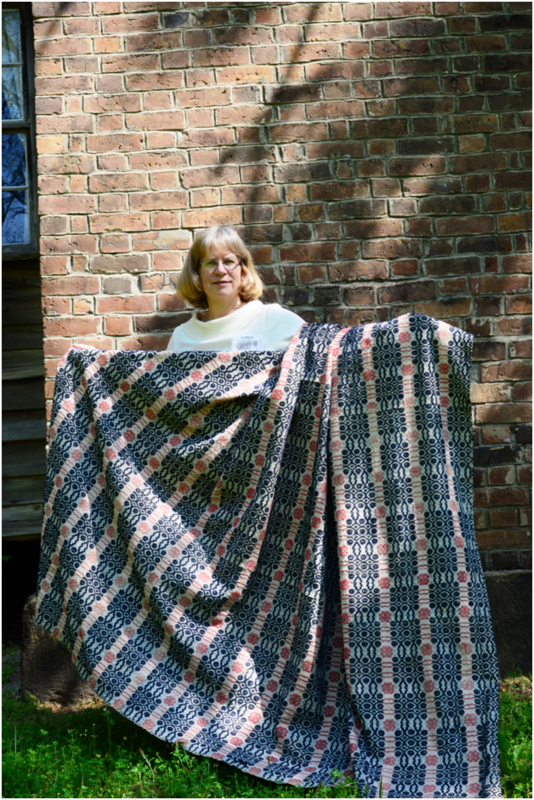 The Moore County Historical Association is hosting an exhibit of early American coverlets during the last weekend in April. 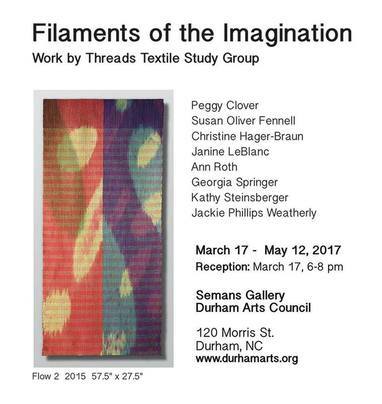 Coverlets will be on display throughout the Shaw House at the corner of Broad St and Morganton Rd in Southern Pines. The historic house museum site will be open to the public from 11-4 on Saturday, April 29 during the Southern Pines’ annual Springfest. On Sunday, April 30, Linda Hardison will be presenting a program about these early American coverlets at 2:30. She is curator of the coverlet exhibit. Both events are free. Join British textile experts David and Sue Richardson for a fantastic, adventurous voyage on a traditionally designed Indonesian schooner (phinisi). Our itinerary takes us along the coast of Flores and on to the islands of Lembata, Alor, Timor, Savu, and Sumba, returning via Rinca to visit the Komodo dragons.